Rep. Ted Deutsch (D-Fla.) says that, based on documents he has received from the Office of Refugee Resettlement (ORR) within the Department of Health and Human Services (HHS), there have been over 4,500 allegations of abuse of alien minors in the custody of ORR (see, e.g., here and here). Of the 4,556 complaints, 154 involved contract staff hired by ORR to provide custodial care. Jonathan White, ORR's deputy director for children's programs, responded that the 154 complaints involved facility staff who were not employed by HHS and that the complaints were merely allegations rather than confirmed cases. As White has made clear, the complaints at this point have not been established as having occurred. Robust internal investigations are obviously warranted — and if any of the allegations involve the same individual(s), steps should be taken to remove such a person or persons from any proximity to the minors. But as we have seen again and again, allegations don't always prove true, and while protection and care of the minors must be paramount, it does not follow that complaint equals guilt. Another point that I think is being overlooked or ignored by many media outlets is the implication inherent in the abuse allegations: If only (I use the word "only" advisedly) 154 of the 4,556 complaints of sexual abuse involved staff, this means that the remaining 4,402 of the complaints — almost 97 percent — are alleging that the abusers were other migrant children in the federal government's actual or constructive custody. What are we to make of a situation where minors who claim that they are victims of persecution, repression, or abuse, and therefore fear return, may very well be predators victimizing other minor children? What does that tell us about them, or the validity of their claims? 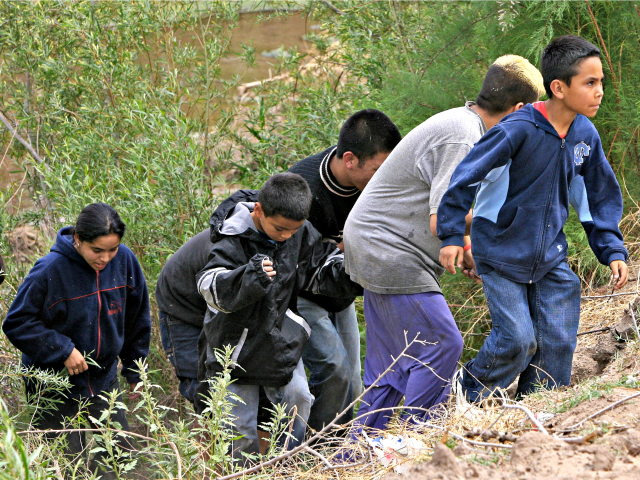 It's a deeply sobering thought and, contrary to the argument that Deutsch and other liberals push forward that minors should never be detained, it suggests to me that some number of these minors who have been accused of abuse — and, one can reasonably surmise, who are almost certainly on the cusp of adulthood and therefore stronger and more able to victimize or intimidate younger children — are predators who absolutely merit detention and, if the allegations are proven, prosecution and then removal.